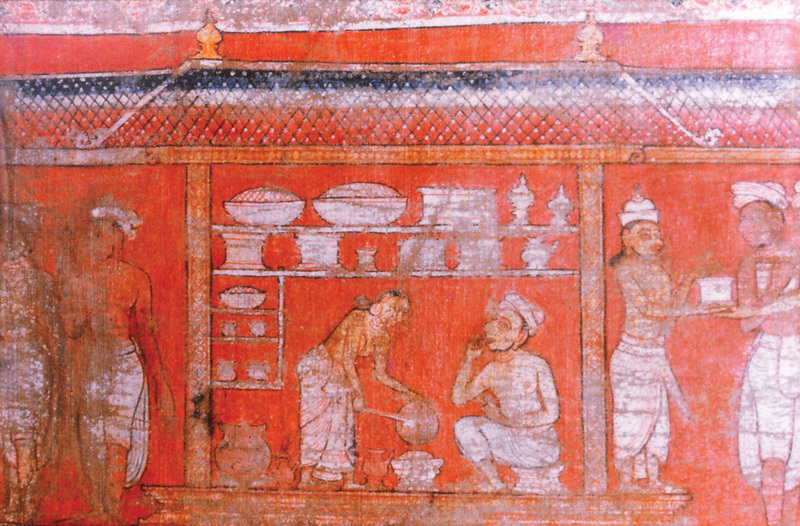 A kitchen scene with a female in action on the Arattana Vihare, petikade or painted scroll at Hanguranketa, Sri Lanka, illustrates the role of women preparing and serving food. In elite households. These functions were sometimes performed by female servants as in this instance. 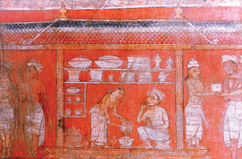 Sirima Kiribamune, "Women in domestic service," online in Digital Library for International Research Archive, Item #12661, http://www.dlir.org/archive/items/show/12661 (accessed April 18, 2019).